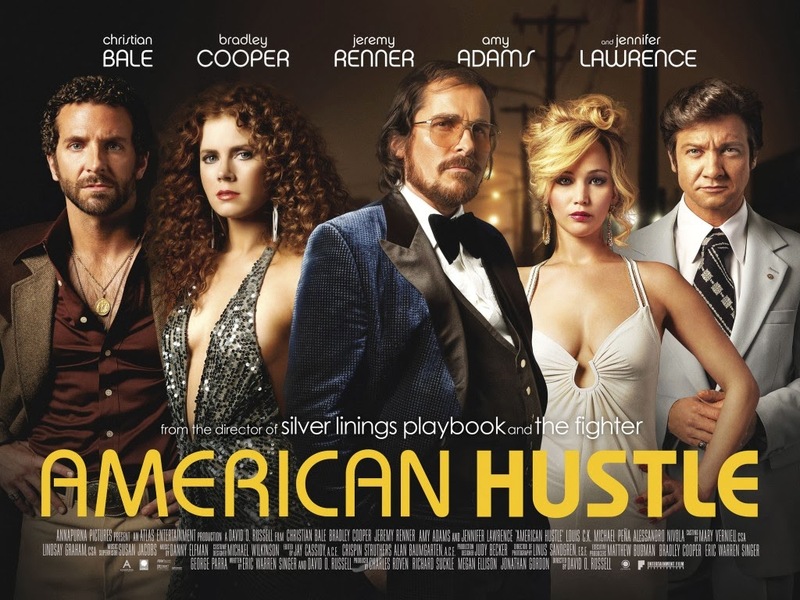 Director David O. Russell brings yet another brilliant film with this fast-paced, energetic, entertaining, amusing, vivid, vibrant yet cautious tale known as American Hustle. A fictional film set in the alluring world of one of the most stunning scandals to rock our nation, American Hustle tells the story of brilliant con man Irving Rosenfeld (Christian Bale), who along with his equally cunning and seductive British partner Sydney Prosser (Amy Adams) is forced to work for a wild FBI agent Richie DiMaso (Bradley Cooper). DiMaso pushes them into a world of Jersey powerbrokers and mafia that's as dangerous as it is enchanting. Jeremy Renner is Carmine Polito, the passionate, volatile, New Jersey political operator caught between the con artists and Feds. Irving's unpredictable wife Rosalyn (Jennifer Lawrence) could be the one to pull the thread that brings the entire world crashing down. 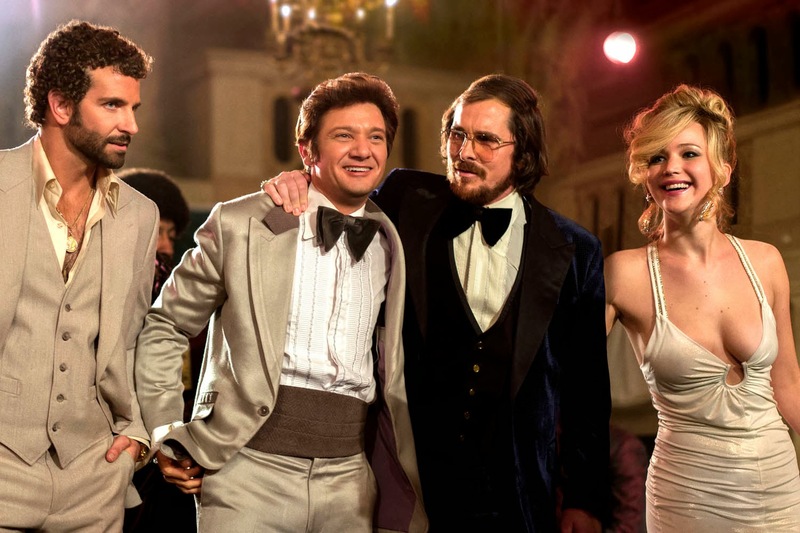 It must be noted that American Hustle is actually a fictionalized tale of some true events that actually did happen. Instead of just basing this film on the true events, O. Russell, gives himself free reign by creating fictionalized situations and characters allowing his story to be free from the constraints of facts. This story opens itself and places right into the minds of our three leading characters, Irving (Bale), Sydney (Adams) and Richie (Cooper) as we soon discover their motivations and fears. The performances in this film is nothing short of enchanting, as each and every cast member is simply amazing these roles. The outstanding Christian Bale once again put himself through a physical transformation as he gained a whole lot of weight to play Irving, a sleazy looking con man, who is a lot smarter then he looks and meticulous in his cons. Irving is quite methodical, he knows just how far to go with a con. He never over reaches, he never gets to greedy, he plays it safe. His motivated by a his love for Sydney and his son, which is why restrains himself from over indulging into his criminal affairs, in order to protect his loved ones. His wife Rosalyn, played phenomenally by Jennifer Lawrence, is volatile, manipulative, erratic, capricious and completely fuelled by passion. Rosalyn has a hold on Irving, they both want to have this marriage end, but he can’t let go as she wont let him. She knows how to push his buttons, she knows what keeps him coming back and she will tear his world apart before he can let go. Richie, played by splendidly Bradley Cooper, is a young FBI agent who has something to prove, looking for a way to fulfil his aspirations and desires. When he catches Irving and Sydney (Amy Adams), his completely entranced by the idea of taking down bigger fish then these two small fries. However, when he finds himself stumbling onto something much bigger then he ever imagined. He soon finds himself taken in by power, lust and desires of aspirations. This is what makes American Hustle so great. It’s a story about greed, lust, desire and the choice between right and wrong. The film goes to great length to show us “good” people who do bad things and “bad” people who do good things. 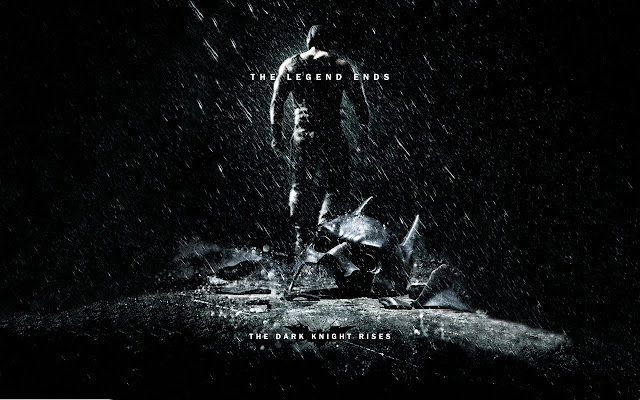 It plays with your moral compass throughout the film as you try and separate the “heroes” from the “villains”. It blears the line entirely allowing its own to be subjective and decide for themselves. It’s a tale of reinvention, achieving the American Dream, stepping out from your old life and transforms yourself into something new and bold, as we seen with Sidney, played so well by Amy Adams. 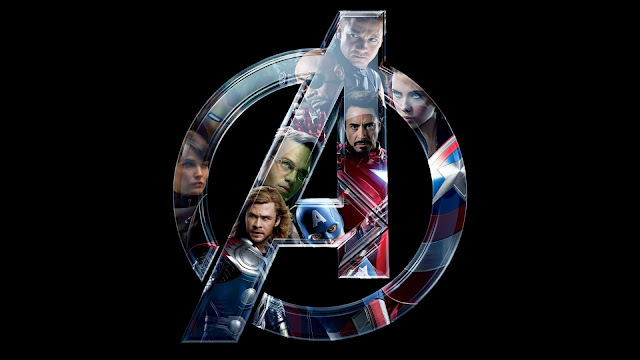 The film is smart, intriguing and fascinating as the charisma of each actor and actress jumps out of the screen bringing this spectacle to life. It’s a film that demands your attention and keeps you focused in on it as takes you through each crevice, turn and triumph in these characters present lives. Overall American Hustle is a film that’s filled with great performances, excellent writing, amazing directing and cinematography. It’s really one film that’s exceptional as David O. Russell gives us another wonderful, enchanting film that is well-balanced, well paced, well written, well-acted and truly memorable film.